Trinity Evangelical Lutheran Church holds the distinction of being the oldest church in Cliffside Park, the laying of the cornerstone in 1901 antedating by one year that of its neighbor, a few blocks year to the south, the Trinity Episcopal Church. It was in November 1900 that the Rev. 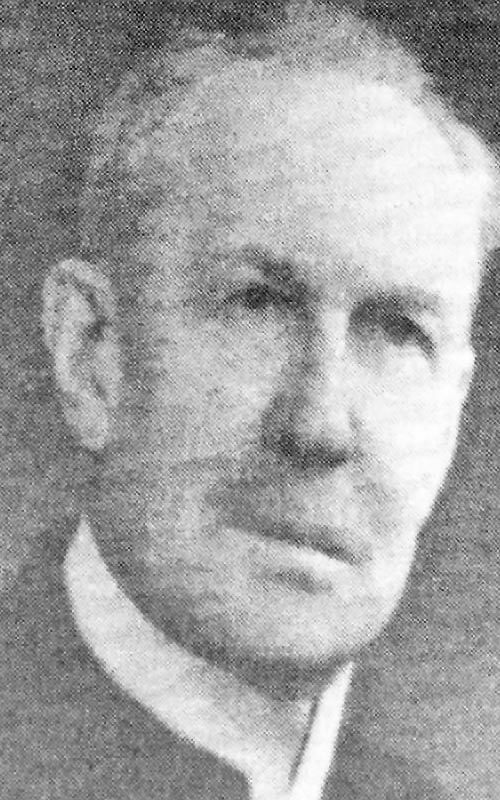 William Dallmann, then in charge of the Church of Our Redeemer in New York, started mission work in Grantwood section of Cliffside Park. The first mission service was held in the Schlosser residence on Palisade Avenue near Lincoln Avenue. A few people attended it. Services were, however, announced for the following Sundays. A Sunday School was organized. The services continued to be held in the Schlosser home until March 31, 1901 when the congregation moved to a large stone barn on the Cowdrey Estate on Palisade Avenue near Grant Avenue. The congregation really began to grow, and members decided to raise funds with which to build a church. Friends and the few members as well as others from the vicinity contributed liberally to the Building Fund. Two lots on Columbia Avenue, between Palisade Avenue to the East and Anderson Avenue to the West, on which the church stands on a rugged rock foundation, were given by Columbia Land Company operating in the borough. The contract to build the church was awarded to Joseph Key at the cost of approximately $1600. The building was ready for dedication with the exception of the basement on September 22, 1901. The Reverend Dallmann continued to serve as Pastor until March 1902, when the Lutheran Mission Board extended a call to the Rev Richard Oehlschlaeger, then engaged in work in North Carolina. He was guaranteed a salary of $200.00 a year with lodging provided in New York City. The congregation remained a mission until June 1905, it was organized, adopted a constitution, made application, and was made a member of the Missouri synod at their convention in July of that year. A new altar and pulpit were purchased in the Spring of 1907 and installed in July. On the 28 of July they were dedicated to the Triune God. In December 1907. a new stove was installed in the basement of the Church building. The basement was then used for Sunday school purposes Pastor Oehlschlaeger preached his last sermon on January 5, 1908. May 1908 saw the installation of the Rev. 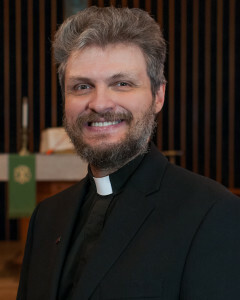 Bernhard C. Weinlaeder of Bleeker, New York as the third pastor of the growing congregation. Besides his congregational work at Trinity, Pastor Weinlaeder opened missions in West New York, Palisades Park, and Fort Lee. During his pastorate the Public School authorities used the basement for a period of time in 1910. It was here that classes were held, as the facilities of School #4 proved inadequate for the growing community. As the town grew, so did the church. A baptismal font was purchased in 1910. This font was a gift of the Ladies Aid Society. In 1911, new stone steps replaced the old wooden steps in front of the church. In 1916 an electric lighting system was installed and the basement of the church was plastered and wainscoted. All these improvements were fostered by the Ladies Aid Society. In 1913 a parsonage fund was started. A young people’s society was also created. In 1920, our church having been blessed by God with a growing membership, the subsidy of Synod was discontinued. A Men’s Association was organized to help further the welfare of the church. In 1921 this association with the help of the Ladies Aid made further improvements. A kitchen and heating plant were added to the basement of the church. Upstairs, three aisles instead of one were made, new carpet was laid, and the church also received a new coat of paint inside and out. Pastor Weinlaeder preached his last sermon on October 30, 1921. When left there were 18 he voters, 125 communicants and 100 in the Sunday School. 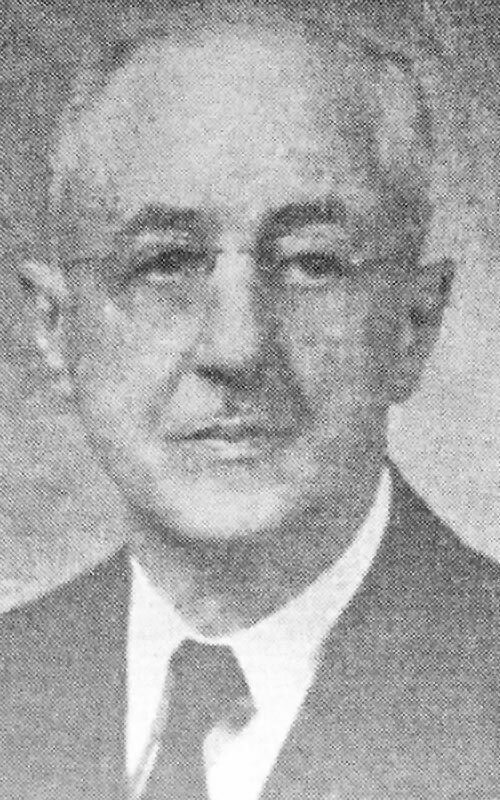 In March 1922 Pastor Frank J. Schwarz of Riverhead, New York, was installed Pastor of Trinity. During his pastorate the rapid increase as in the population made its influence felt in the rapidly expanding list of members. In 1927 the interior of the church was redecorated, a new ceiling was installed. Two murals were erected and a new organ that was purchased would adorn the chancel for 41 years were painted on canvas by Carl Mutze. A Walther League Society was started and Boy Scout Troop 99 had its beginning. Pastor Schwarz preached his last sermon May 13, 1928. As of that time there 220 communicants, 175 were enrolled in the Sunday school and 14 voters. September 9, 1928 marked the installation of the fifth pastor, The Rev. Henry Wittschen. Under his pastorate a choir was started to enhance the worship services. The church basement was extended, the parsonage west of Anderson Avenue was acquired, other Mission congregations established, and in 1950 the two lots adjacent to the west side of the church were bought. A 50 Anniversary Service was held on October 15, 1950. At this service, new pews were dedicated. Also dedicated were carpeting and a sanctuary lamp, both gift of the Ladies Aid. All the pastors of Trinity from 1900 to 1950 attended the celebration, which was held at Sauter Waldschloss. All the money received at the Anniversary Service was sent to the Bethlehem Children’s Home in Staten Island as a thanksgiving to God for 50 years of His blessings. An extensive renovation of the Church was completed in 1955, which included an addition on the front with a large granite cross and brick veneer on all sides of the church. This addition did away with the outside steps and changed the entrance of the church. The rededication of the church and the laying of a new cornerstone took place in November 1955. 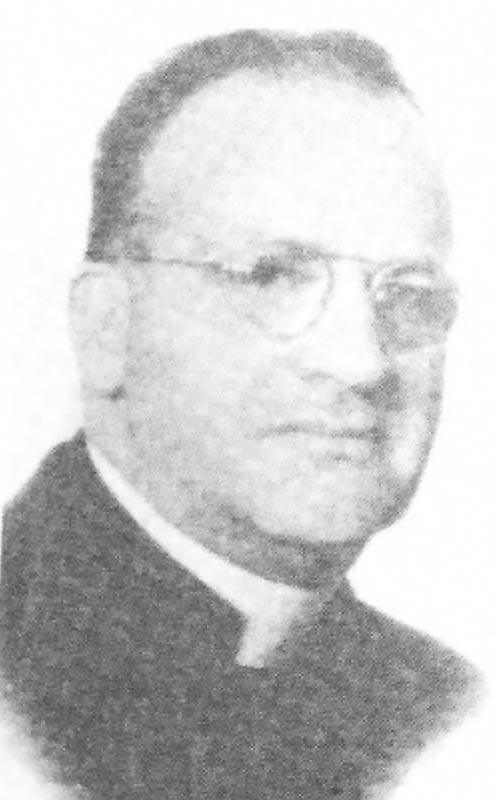 Pastor Wittschen retired from the active ministry, concluding his faithful service in July 1960. 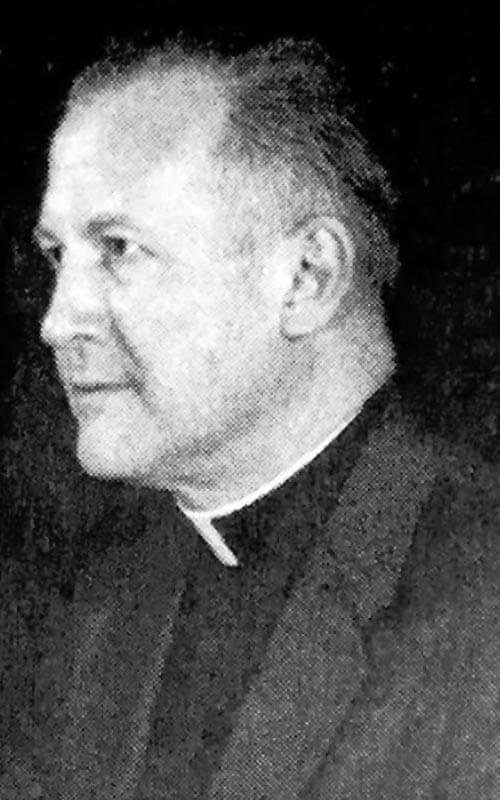 In September 1960, The Rev. Paul Shippert was installed Pastor of Trinity. He immediately expanded the Altar Guild. Its first meeting held November 1, 1960. The members were to prepare the place of worship, especially for public worship for every service. They also took care of the furnishings and appurtenances of the Altar and sanctuary as well as the vestments of the Pastor, choir, and acolytes. A Young People’s Society was again started and youth retreats were made to Mt. Trempler, Port Jervis, Hackettstown, and Camp Norge. A “Cherub choir” was organized. The youngsters sang at the 8 o’clock services and at all Sunday school functions as well as all church holidays. The Trinity Endowment Fund was started with monies and securities left to the church by various benefactors. Three Trustees were elected to handle these funds. The Endowment Fund was later changed to Trinity Ev. Lutheran Church Foundation of Cliffside Park, N.J., Inc.
A library was established in the church basement with books given by Mrs. Anna Mahn. After her death the library was dedicated in her name. Due to the increasing membership of both the church and the Sunday School, plans were formulated by the Young Adults group for an expansion program to include a completely new chancel with a free standing altar a sacristy secretary’s office, Pastor’s office, a choir room, and an all new kitchen. A Trinity Expansion Fund (TEF was started through an outside organization to raise funds to cover the cost of this program. Dedication services were held on November 3, 1968 of the same year, a new parsonage adjacent to the property of the church was bought. Pastor Shippert concluded his pastorate at Trinity in September 1969 in order to accept a call to East Aurora, New York. 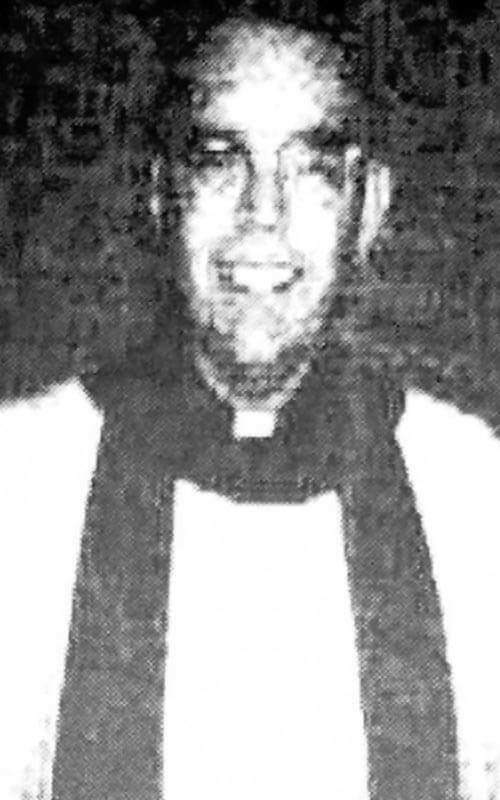 In February 1971 the Rev. 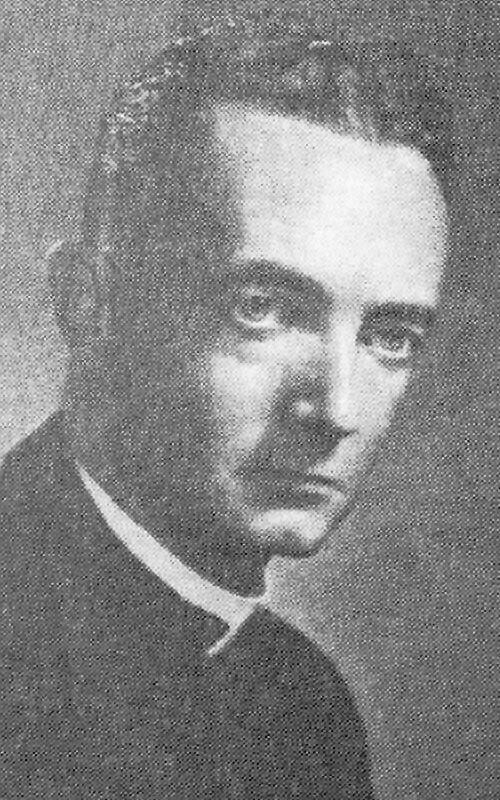 Theodore V. Koepke assumed of Trinity. He was the pastor of the United States Chaplain School at Fort Hamilton, New York. He had served as Commandant a Chaplain for twenty-six years in the United States Army, having seen service in World War II, Korea, and Vietnam. During his service to Trinity many new members were received into the congregation. Fellowship coffee hours after services were continued on a more frequent basis. Voter’s meetings were changed from monthly to quarterly and the constitution and by-laws of Trinity were revised. Since the adoption of Woman suffrage to the synod at the 1969 Convention many more by women were encouraged to become involved in Trinity’s affairs of the Voters as members of the Assembly and as officers of the congregation. The second floor of the parsonage was furnished to be used by the Sunday school. A new organ was given by the Trinity Foundation, and air conditioning was installed with the monies received from congregational members for this improvement 1974. A sound system, given in memorial, was installed in the church hall. An annual Flea Market inaugurated followed by September Fest, where the ladies of the Church made their specialties for the festivities. The church also became free of debt as the mortgage on the parsonage was paid and burned at the celebration of Trinity’s 75th anniversary on November 2, 1975 at the Inwood Manor, Teaneck, NJ. In April 1977, application was made synod for a Vicar to assist our congregation. Vicar Charles Althoff and his wife Rosemary arrived on December 4. 1977. They were housed in the second floor apartment of the parsonage. In August 1978 they returned to Concordia Seminary in Fort Wayne, for him to complete his studies. The financial status of Trinity was sound and a good feeling of peace and harmony prevailed. Pastor Koepke gave his farewell sermon on August 6, 1978 after eight of years serving us, and he and his wife Claire retired to Sarasota, Florida. On February 25, 1979 the Rev. Eric E. Rieker of Stuyvesant, New York was installed While he was with Trinity, 30 hymnals were purchased for the Sunday school. He preached his last sermon on June 29, 1980, and resigned on June 30, 1980, returning Kinderhook, New York on a CRM basis. 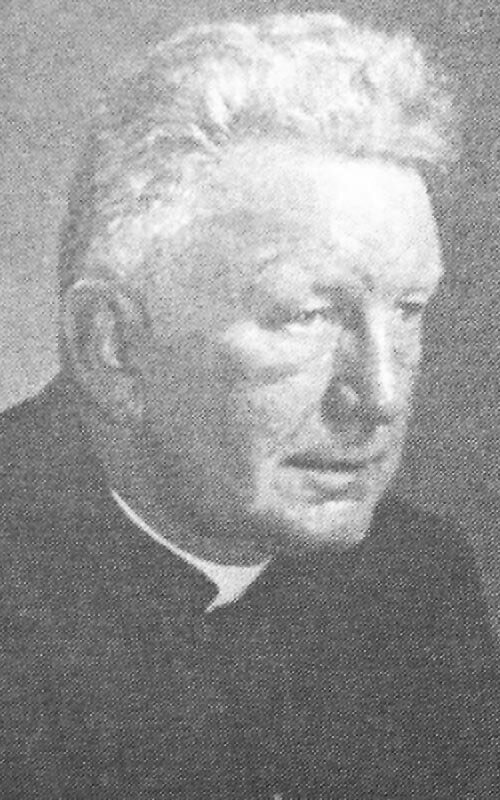 In August 1980, Rev. 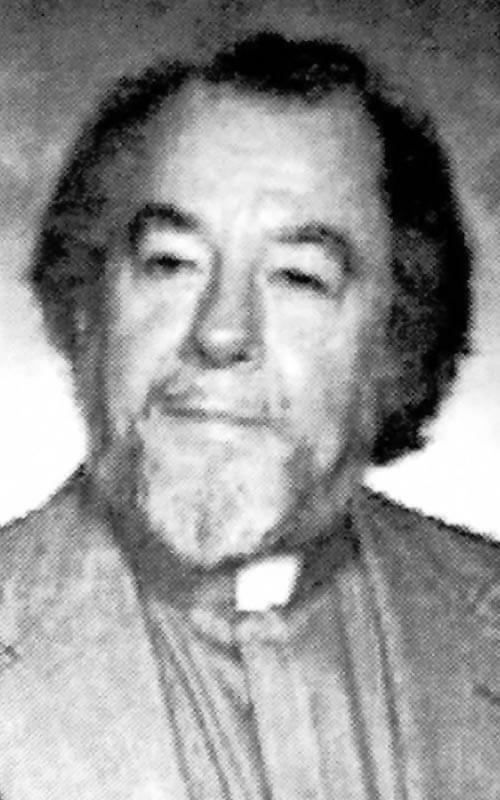 Irvin E.M. Pflueger became Trinity’s Pastor and was installed as the ninth Pastor of Trinity on May 31, 1981. He continued to Chaplain at Hudson County Penitentiary and Jail as well. He established a cassette ministry to shut-ins of the congregation and also established an Evangelism program geared for the community, family, and youth. Pastor and his family continued to live in their home in North Bergen, permitting the church to rent the first floor of the Parsonage. He also established a clothing ministry. In 1984 clothing sales were held monthly, the extra income enabled the Trustees to make many improvements to the Church and Parsonage. Pastor and Mrs. Pflueger retired after a very active ministry at Trinity on September 23 1990. For two years, Trinity was without a Pastor; however, we were blessed with vacancy pastors During the time of vacancy, Dr. Eugene Thiemann, of the Lutheran World Relief, came occasionally to preach and lead us in worship. Dr. Thiemann brought to our attention that Lutheran World Relief was in need of quilts and school bag kits. Trinity immediately got a group together to work on these projects. Dr Thiemann is now retired but these projects continue to the present time. On June 14 1992, as suggested NJ. District President, the Rev. Dr. Donald W. Sandmann, we were asked to extend a divine call to a Seminarian Candidate. On September 27, 1992, Trinity ordained and installed the Rev. 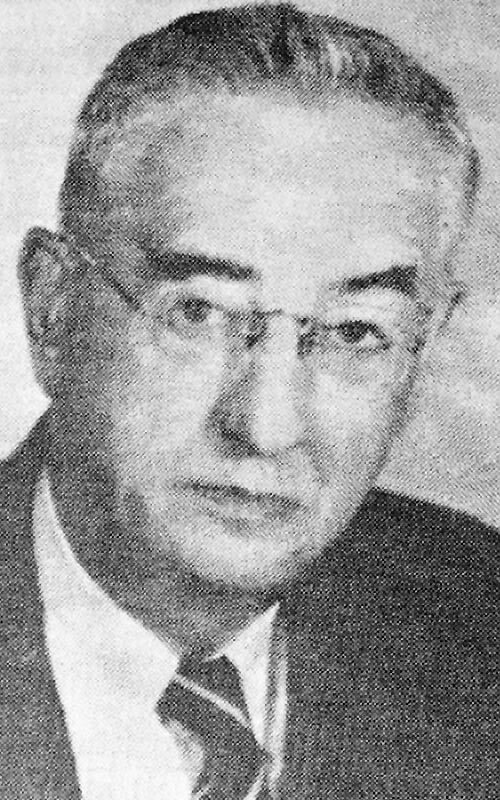 John H. Schroter, grandson of the Frederick Kissel. A 1992 graduate of Concordia Seminary, he made sure that new Bibles, hymnals, and bulletin inserts for worship were purchased. Worship services for special occasions were added. Adult and youth bible instruction classes were offered at various times. The Evangelism/Stewardship Committee was revived. The existing organizations, Foundation, Sunday school, Choir, Ladies Aid, and Altar Guild continued to be active. Capital improvements on the church’s property, such as the purchase of a digital copier, the refurbishing of the worship area and the placement of a new outdoor bulletin board were made. Fall and spring luncheons, weekly fellowship hour after church worship, and Lenten suppers were held. Outreach to the community has included English as a Second Language program, various mailings, and distribution of packets of literature to church visitors and residents in Cliffside Park and the Bergen County area. Outreach involved cooperation with the Lutheran Mission, home, evangelism, and canvassing calls: and communication between church and community by advertising in the local media. Trinity participated with a float and banner and contributed a page for the commemorative booklet of Cliffside Park’s 100th Anniversary in 1995. Pastor Schroter’s service to the Church has extended to a 2-year tenure as the Counselor for the Bergen County Circuit and senior citizen chaplaincy, also including a weekly a worship service, at the Fritz Reuter Altenheim in North Bergen.